Get ready for the ultimate of relaxation and stress relief. 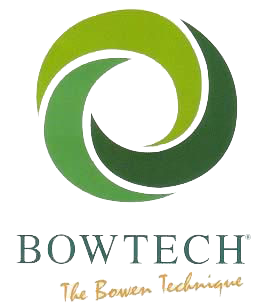 Bowen or Bowenwork is a very gentle and dynamic soft tissue therapy technique that originated in Geelong Australia, by the late Tom Bowen. It is now practiced and taught around the world and has been proven to be effective for both acute and chronic health conditions. Bowenwork is performed by applying subtle, yet profound movements, stretches and rolls to the body’s tissues. 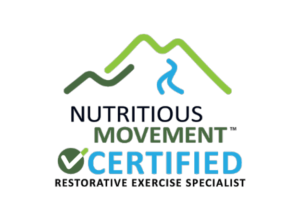 These movements initiate a series of responses through stimulation of the nervous, musculoskeletal, fascial systems and the energetic pathways. Bowenwork is considered a neuromuscular therapy and has some resemblance to gentle myofascial release. However, Bowen is unique in it’s delivery compared to traditional myofascial release techniques in that there isn’t continual touch with a treatment. A movement or several movements are made and then the body is given time to rest. These periods of rest ensure the body has time to respond to the stimulus. I often use the analogy of throwing a pebble in a pond. The force of the pebble hitting and entering the the water, creates waves. We create waves of energy in the body with each Bowenwork movement and wait until the body has settled before we move on. This is a very calming and relaxing experience. With a Bowenwork session, connective tissues such as the muscles and fascia begin to unwind and reposition themselves, posture improves and tension is released. Circulation and lymph flow are encouraged, thereby allowing the flow of energy and a reduction in inflammation, swelling, and pain. Bowenwork stimulates the release of toxins allowing you to feel better. Bowenwork is appropriate for all ages and can be used to treat the whole body or a specific injury. Why Jessica Thinks Bowenwork is Powerful! Nothing relaxes me like Bowenwork. When the body relaxes, your inner healer is turned on and tension and stress melt away! In fact, when I first got introduced to Bowenwork, I was skeptical. Then I had a session. My body felt more peace than it had ever felt. It was that experience that inspired me to begin learning Bowenwork in 2001 and the rest is history. Most people have exhausted and overly stimulated nervous systems THAT HINDER THE BODY’S ABILITY TO SELF-HEAL. THE Bowenwork experience shifts the body into a deeper state of awareness and well-being. When you have a Bowenwork session your Autonomic Nervous system is activated and the body begins to relax and switch from a stress state (Sympathetic-Fight/Flight/Freeze) to a relaxed state (Parasympathetic-Relax/Digest/Heal). Once this occurs, the body begins to send healing messages throughout the entire body, allowing every system to be effected. I cannot express to you how much this matters. Most of my clients with chronic conditions don’t realize the connection between their pain and the stress to the nervous system. The analogy I often use to explain this is that your brain registers what you call “everyday” stress the same as a tiger coming after you. In nature, if you see a tiger you have a reaction. You most likely run and get to safety. The emergency is now over. However, If high levels of stress have now become the norm for you, that tiger is following you. The constant state of emergency of feeling the need to “run from the tiger” keeps your body in this fight or flight mode. This can have serious impacts on your health. Your body can no longer adequately heal and examples of this are evident in most modern man ailments from myofascial pain, digestive disorders, fatigue, sleep issues, headaches, high blood pressure, heart disease, etc. Fascia is the biological fabric that holds our body’s together. It’s a dynamic intricate 3-D web that is essential in the dance between stability and movement and important in recovery from injury. Tiny tiny tubes called microtubules make up the collagen matrix and allow for a sophisticated fluid exchange and movement. However, when that matrix is damaged thru injury, trauma, scarring, repetitive or poor movement patterns, it becomes dehydrated, glued, and restricted. These restrictions can affect your posture and how you move. It can also put pressure on joints, organs, muscles, nerves, blood and lymph vessels. In fact, when it’s tight, it can create up to 2000 pounds of pressure per square inch. That’s a lot of pressure. Pressure creates friction, which causes PAIN! This pressure from fascial restrictions doesn’t normally show up on common diagnostic testing such as X-Rays, MRI’s, Cat-scans. Each Bowenwork moves gently helps break up the adhesions in the fascial matrix and encourages adequate hydration to plump it back up. This cannot be done with force which is why Bowenwork is delivered gently. Clients often experience a sensation with this release-a tingling feeling, a wave like sensation thru the body, little electrical zings, relaxation, pain relief, and often the release of emotions that have been stored within the fabric of the body’s history.